starter on right side, for om61x and 280e etc. On engines m102, m103 and om603 among others. 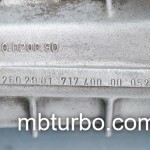 Supposedly also found on the C36 AMG, but im not shure about that one ever popping up with a fivespeed manual stock. like the 716.654 or something would be my choice, sixspeed, overdrive on sixth gear, the same gearbox that Hansebanger77 uses if you look on youtube. I have a 1990 190e 2.6 4-spd Auto that I’m planning to swap to a 5 speed from a 1984 190. 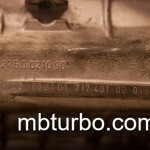 I will also be using a 3.27 LSD from a Cosworth. Will the gear ratios from the 1984 190 work for my 2.6? the fivespeed would be a overdrive in fifth most def, and with a 3.27 it would be pretty much like a stock 2.6 with a fivespeed would behave. 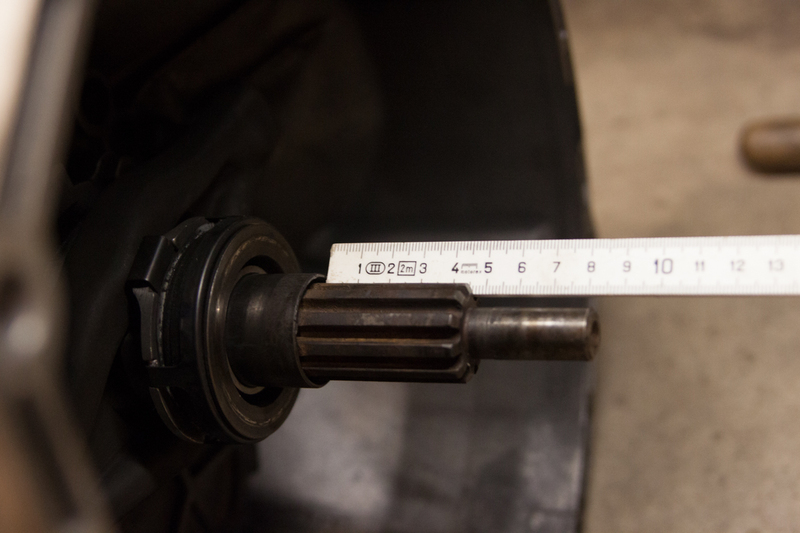 do you have a m103 single mass flywheel for sale? Hey want to know details about a gearbox with No. 717.402 it is for gear ratio, etc. the 402 is form what ive found with an “inductive” speedometer, and not the mechanic that is in hte 717.400, its was made for the r107 i think. I have a c180 w202, 1994 model, with a 5 speed manual transmission. What transmission fluid does it use? Are m111 and om602 gearbox are interchangable? dualmass for dualmass gearboxes, singlemass for singlemassgearboxes. the m111 had a lot of different gearboxes, sixspeed 716.6xx etc, and those is another gearbox totaly than the 717.4xx found on the om602. and thus needs modifications in shifter, tunnel or driveshaft. How much power can I send through a 716.631 or any other 716.6xx to that matter? 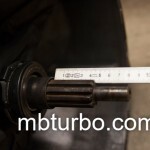 I am working on aM103 550whp project. Non would fit straight away as far as i know, the best bet would be to reweld a BMW gearbox to fit your engine, quite easy, althou i have no immediate suggestion on what manual flywheel would fit the engine. 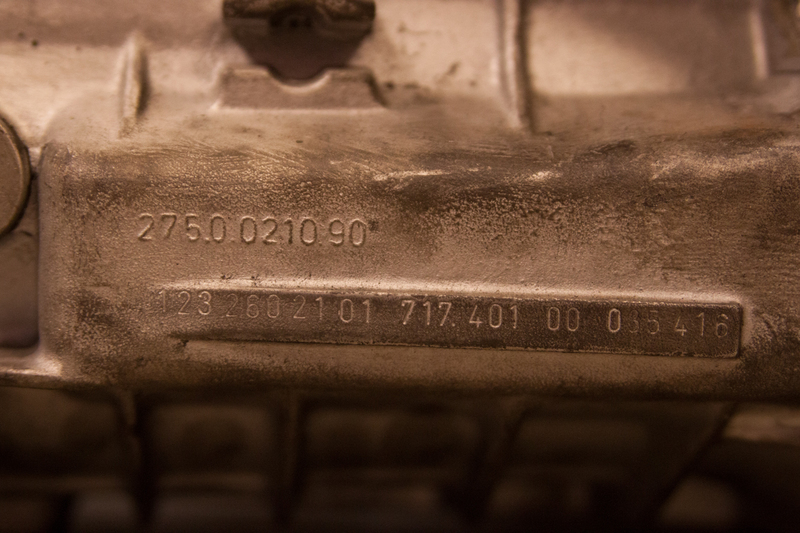 The sixspeed vs the fivespeed wont affect mileage that much, both the fivespeeds on the w124 and w210 (+w202 and most w201s) had 1:1 in fourth, and about 0.8 something in fifth, about the same as the sixspeeds have in fifth and sixth gear. the 3.07 is a nice ratio with a gearbox with overdrive, depending on speed and torque, a 2.88 might be good aswell. To me it seems like a lot of work, the stock fivespeed isnt a “fun” gearbox, but with stock power out of your om605 turbo it should survive good, and mileage wont be better with a sixspeed unless you also swap the differential. and not by much. What RPM is your engine when doing 100km/h today? I would not consider it worth it to be honest if you arent running a tuned engine, and in that case the sixspeed Mercedes gearbox is a good start, but a rewelded BMW a stronger one. Thank you for the reply! I believe it is between 2500rpm and 3000rpm, mostly near the 3000rpm. I was told the a complete swap (dual mass, clutch, diff, shaft, gearbox) would be the thing to do as opposed to individual part swapping. As for the diff I already have in my s210 I don’t know for sure as it wasn’t an engine commonly bought throughout europe, or that well documented for that reason. Maybe a 2.87? I was told going higher would give me better MPG. The guy who told me this had a Sprinter van changed to a 3.07 and basically lowered from 8.5L/100km to about 6.7L/100km at around 120kph-140kph. I don’t usually drive at those speeds for economy reasons too other my S210 will return something like 10L/100km on motorway cruising, which to me is too much for a mere 65L tank. Could this be possible even for the hassle it might be? I can get parts easily and labor is at no cost for me. Maybe the s211 6 speed, shaft, dual mass and clutch + a 3.07 diff would do the trick without disrupting horsepower too much? If not this was would possibly “better manage” the engine fuel consumption as I have friends with a W202 same engine doing 40+ MPG and I am stuck in low 30s even 20s sometimes. Thank you! hmm,by doing a tad math, 2500rpm and a fivespeed gearbox with a fifth-gear ratio of 3.64 would net you at 100km/h. so thats what i would guess you have today. a 3.07 would bring you down to about 2100rpm in the same speed – a huge difference in how its experienced. low 30s, and sometimes 20s seems crazy, are we talking UK-mpg or US-mpg btw? it might be worth checking timing of the engine, and looking up everything else at it. Hello, so in your opinion i have two possible outcomes: 1. try six-speed + my current 3.64 diff? 2. keep my 5speed and switch the 3.64 to a 3.07 diff? In the case of the latter, would it be a simple swap with no welding or changing other transmission components I already have? This seems more interesting than switching the whole transmission system. I did the math just yesterday as my car was at the shop and I was unable to drive it. I averaged 28 UK MPG after 15L of fuel. Driving was mostly highway, cruising at 90-120kmh. Does this sound right? I believe it should be a little lower than that. I have been able to average 33-35 UK MPG in the past but that is not going past 100kmh and doing mainly highway cruising. Thank you for your knowledge! It’s amazing! my thought is two alternatives you could get a 3.07 and put it behind either the stock fivespeed, or the 3.07 behind the sixspeed, both versions will be the same rpm doing 100km/h (moreorless) and thus the same MPG. that is in UK MPG 43mpg vs 39 UK MPG when driving more aggresive. i dont think i ever was as low 33MPG except when pulling a heavy trailer, or realy aggresive driving in city etc. it might not be a fair comparison, but your MPG seems crazy to be honest, even if i have better diesel, and keep the tires inflated and the brakes in perfect condition the difference is a tad to big. if im not misstaken, the w210 om606 when doing a realy long trip (at about 100km/h and having people sleeping in the car, so driving “perfect” consumptionwise) we had a consumption somewhere along 45MPG (E300TDT w210) but better than that would be difficult. There is a huge difference in differentials between the cars, even in the same chassie, “huge” differences that in reality is quite smal, but can put up some big problems. i would suggest you measure the lenght + width of the differential, and from that i could measure my w124/w201 differentials and see if they are alike, or you just measure and try and find another one. Oh I should add that it is not getting worse MPG wise, that range of mileage is what I am able to obtain as of right now. I have not taken the car on a roadtrip just yet with only highway miles on it. So all this is mostly 30% town driving (where I can usually use 4th and 5th sometimes) + 70% highway (5th all the way).